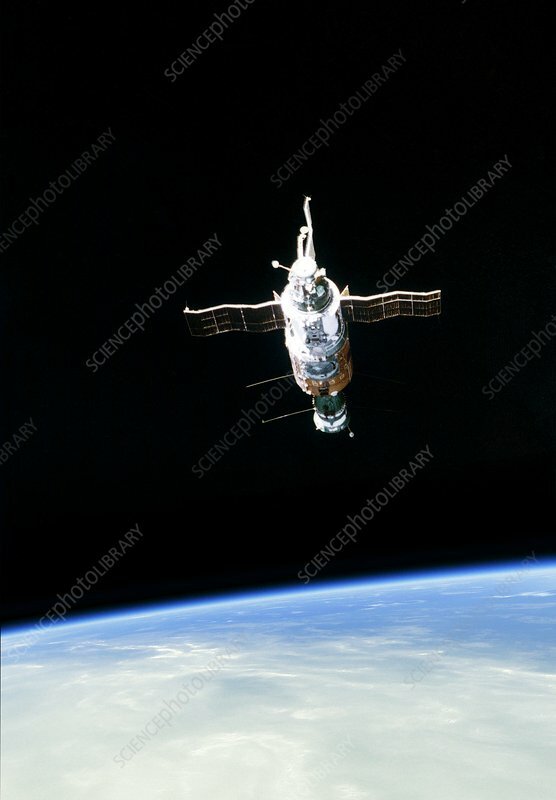 Salyut 6 space station. This was a Soviet orbital space station, designed for crews to conduct experiments, earth resource observation, and to observe the effects of spaceflight on the human body. Launched in September 1977, Salyut 6 was in service until July 1982, when it was deorbited and replaced by its successor, Salyut 7. Photographed by German cosmonaut Sigmund Jahn on the 3rd of September 1978.